Most of us make decisions every day regarding our health, financial affairs, and personal relationships. However, there may come a time when a person is no longer able to make those sorts of decisions due to an illness, advanced age, or other circumstances. When a person is no longer capable of making sound decisions, he or she is considered an “incapacitated” individual. Once a person is incapacitated, the court can appoint a conservator to help manage the person’s affairs. Our attorneys understand the needs and requirements of conservators and we can help to make sure you are able to fulfill your duties properly. What’s the Difference Between a Conservator and a Guardian? A conservator takes care of an incapacitated adult’s finances and property. A guardian takes care of an incapacitated adult’s personal needs. In many situations, the same person serves all of these functions, which is why these terms are often used for either type of role. A conservator can perform a variety of tasks, including paying bills, signing legal documents, making decisions about living arrangements, managing health care needs, and buying or selling property, etc. The role of conservator can be complicated and time-consuming. Many people who take on this role do not realize its full impact until months or even years down the road. Being fully responsible for another adult, especially a family member, can cause emotional stress and can sometimes lead to conflicts within a family. A conservatorship may be necessary if an individual is unable to manage his or her property or business affairs. 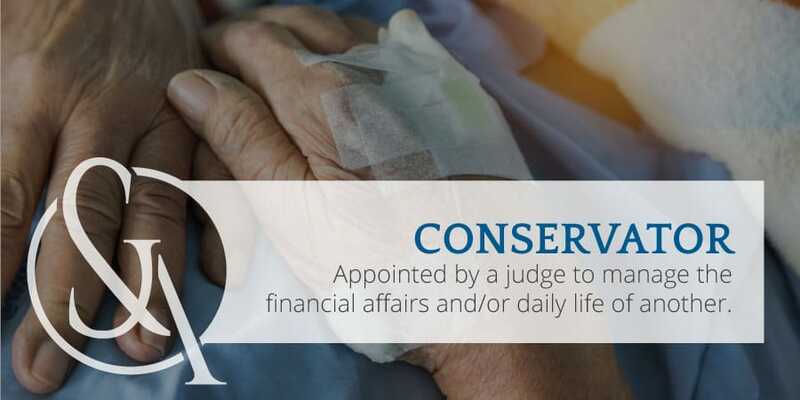 A conservator is appointed in cases where the incapacitated individual does not have any written estate planning documents and has not already signed a durable power of attorney. A durable power of attorney is an advance planning document that allows you to designate a person to manage your affairs in case you become incapacitated in the future. If no advance planning is done, then the conservatorship must be assigned by a court. Why Does a Conservator Need an Attorney? It is common for a conservator to seek help from an experienced attorney, especially right after being appointed by the court. It can be overwhelming to manage all of the duties and responsibilities of conservatorship. 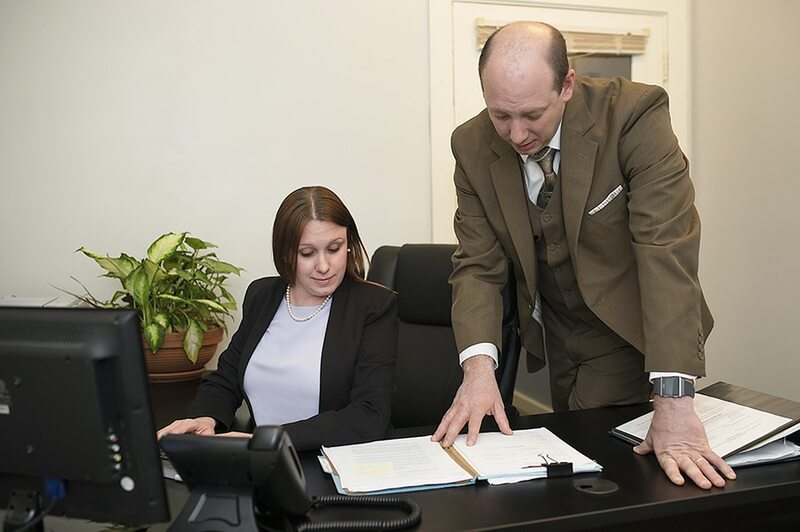 Our attorneys understand the commitment that is involved in this role and can support you for the long-term so you can perform your duties to the best of your ability. Managing paperwork, court hearing dates, and related activities can be overwhelming. We can help you develop a system for tracking progress and ensure the process is as smooth as possible. Our legal team can help you prepare for court appearances that will be necessary to gain approval from a judge before making any major decisions regarding assets and health care decisions. Because all court documents and proceedings are a matter of public record, it is possible that some of the information regarding your case may be exposed to the public. We can take measures to help protect the incapacitated person and other family members who value their privacy. If you need help or advice about any aspect of your role as a conservator, our attorneys can bring clarity to the situation. We will sit down with you and explain your options in plain and simple terms. And we will offer sound and practical legal advice so you can make an informed decision. Ultimately, you are in the best position to decide how to manage your loved one’s affairs. Our attorneys are trusted advisors who will make sure you have all of the information you need to proceed with confidence.